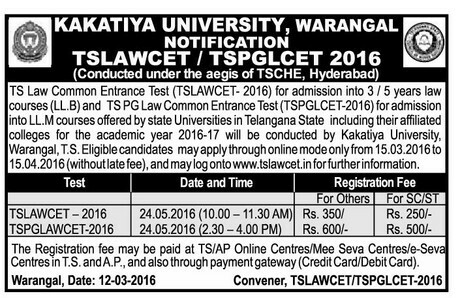 The candidates have to download the Hall Tickets from the website www.tslawcet.in one Week before the Test by entering his/her details. The candidates are also advised to download the Rank Cards from the website www.tslawcet.in after publication of results. (Phone 0870-2425595, Mail id: convenertslawcet2015/gmail.com) for information.